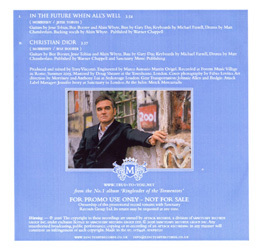 Although this single wasn't physically released in the USA, the four songs from the European cd#1 and cd#2 were offered for download there. 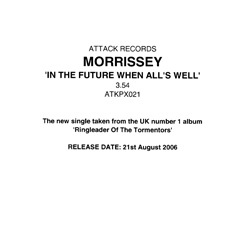 UK and Europe: Two different one-track cd-rs in PVC wallets were distributed for promotion of this third single from the "Ringleader Of The Tormentors" album, both numbered ATKPX021. 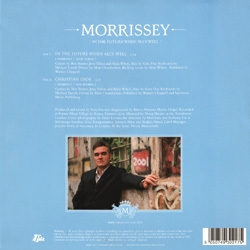 The first one came with a plain white insert with black text giving the title, song duration, catalogue number, release date and other usual credits. 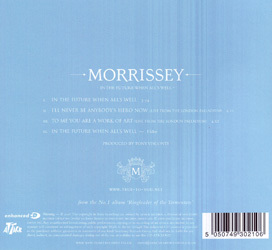 The second one to be distributed had a picture insert of the single's cd#2 artwork with a different tint, inside a white border (view left). 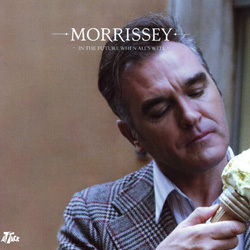 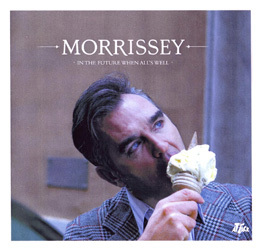 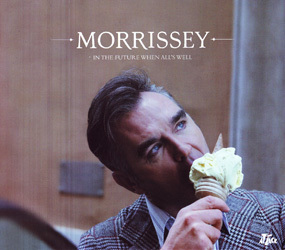 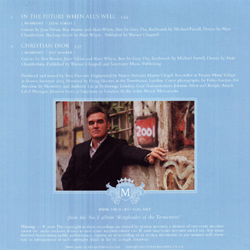 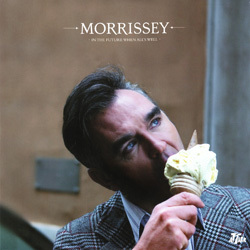 The back of the insert, which features another photo of Morrissey taken in Italy, lists b-side "Christian Dior" despite the fact that the cd only features the a-side.